It's possible that E.T. is calling from another universe, a new paper argues. It’s one thing to look for life elsewhere in the universe. But why stop there? What about life in all those parallel universes that theoretical physicists like to talk about? A recent paper in the Monthly Notices of the Royal Astronomical Society suggests that some of that real estate might be home to aliens who aren’t just out of this world — they’re out of this cosmos. The idea that other universes might exist arises from the realization that the Big Bang might not have been a unique event but a common one. How common? Stanford University physicists Andrei Linde and Vitaly Vanchurin have estimated that the number of unique parallel universes — ones that are independent of the cosmos you know and adore — could be written as a one followed by 10 thousand trillion zeroes. That’s not a number that has a name, and certainly not one you will ever encounter in the real world. I figure it would require 10 billion notebooks just to write this number down. So, to paraphrase Jodie Foster’s character in the movie "Contact," if our cosmos is the only one with life, then that’s an awful waste of universes. But despite their possible plentitude, not all those parallel universes are likely to be blessed with biology. As many scientists have pointed out, our universe — known by the catchy name “the universe” — seems pretty special. Its physical properties are remarkably suitable for the existence of life. If the forces that hold atoms together were even a bit different, the atomic reactions that power the stars wouldn’t work, and our cosmos would consist of nothing but hydrogen. Tweak those constants another way, and stars would burn themselves out so quickly that there would have been no time for the evolution of microbes, dinosaurs, or you. If the strength of gravity were just slightly altered, our universe would have either expanded too rapidly after the Big Bang for stars and galaxies to form — or would have collapsed in a Big Crunch. These are just a few examples of coincidences that have made our universe so suitable for your existence. The research presented in the new paper, conducted by scientists in Britain, Australia and Holland, has to do with one of the all-pervasive parameters of our cosmos — the strength of dark energy. Discovered only 20 years ago, dark energy is a mysterious force that causes our universe to expand more quickly as time goes on. Curiously, some physicists believe that the amount of dark energy in our cosmos is on the low side, and that other parallel universes might have much more. If so, they would be expanding so quickly that gas might never collapse to produce stars and planets. It sounds as if having just the right amount of dark energy is crucial for making universes that could beget life. But that doesn’t seem to be the case. 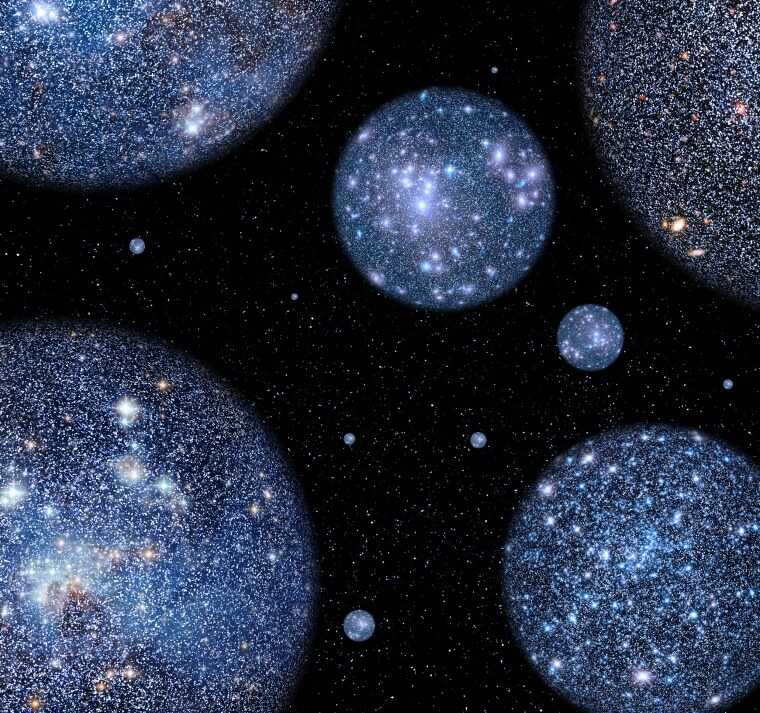 Using computer models, the research team found they could vary the strength of dark energy from zero to several hundred times its value in our universe, and everything remained copacetic. Dark energy didn’t need to be any particular strength for galaxies and stars to form. So that’s one less worry for those hoping for cosmic company. Dark energy doesn’t seem to matter much. But if the nuclear or gravitational forces are quite different, those other universes might be as sterile as seedless grapes. In other words, we still don’t know if many universes will be hospitable to life, or very few. Of course, even the existence of parallel universes is unproven. But scientists like the idea that they do exist because it provides a naturalistic explanation for why the physical constants in our own universe have the life-friendly values they do. You see, if there are bazillions of universes, then — just by the luck of the draw — some will have the right properties for life. No miracle involved. Clearly, we’re in one of those Goldilocks universes, for otherwise we wouldn’t even be asking this question. In other words, we and all our biological brethren live in a cosmos that won the lottery. You, me, and all the other flora and fauna of the universe should be grateful. Dr. Seth Shostak is senior astronomer at the SETI Institute in Mountain View, California and the host of the “Big Picture Science” podcast.